Marble Polishing & Honing Perth, homes and business-owners across Western Australia get in touch with Drytec when they need world-class marble polishing and honing services at reasonable prices. Not without good reason. We offering, a masterful mix of tradition and innovation when servicing every single one of your marble restoration needs. It is this unique old-meets-new character of our services that has helped us become people’s marble polishing & honing company of choice. Patrons from not just Perth, but all of Western Australia come to us and find delight in our marble restoration services. We are an expert Perth marble polishing and honing service with deep knowledge and years of experience. This mix of technical know-how and practical experience allows our professionals to do the job right the very first time. No confusion. No costly reworks. No hassles. Just superior quality work each time, every time. This is one of our new-age thinking approaches. We don’t aim to satisfy you anymore. We aim to delight you. We’re not happy doing a job that gets us an “okay” from you. We’re only happy when we get a “wow!” from you, and that’s what we work for. Invite us over for a quick inspection. We’ll give you a rough estimate as well. Once things are finagled, our marble polishing and honing team will visit your facility at a time and date chosen by you and demonstrate quality workmanship plus professionalism in their work on your premises. They will use our state-of-the-art diamond-impregnated grinding pads to work off the top layer of your marble surface, removing dirt, dust, impurities, scratches and imperfections. Talk to them about your expectations from the marble honing job and they will use an array of finer grits to produce desired results. Through the use of diamond-impregnated abrasives, your stone polishing & honing experts from Drytec remove scratches, impurities, pigmentation and so on to mechanically smoother stone layer from beneath. After their honing job, your stone tiles get a smooth, satin-like, velvety touch and feel. They then proceed to polish the smooth surface, adding further smoothness and luxe to the tiles. 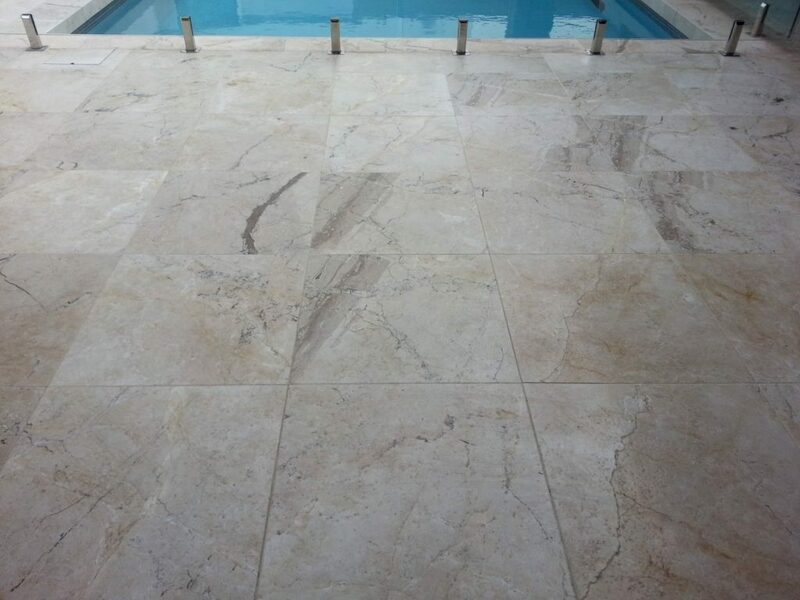 High-quality cleaning and polishing products and sealants are used to effectively lock the smoothness and lustre of the newly honed stone tile inside the now polished and sealed surface. This boosts the tile’s defence against damage, erosion or corrosion and adds strength to the tile surface and grout. The result you get a smooth and clean stone floor, wall or structure, which looks as good as new and stays that way for years to come.